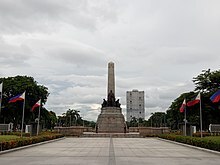 The City of Manila is situated on the eastern shore of Manila Bay, on the western edge of Luzon, 1,300 km (810 mi) from mainland Asia. One of Manila's greatest natural resources is the protected harbor upon which it sits, regarded as the finest in all of Asia. 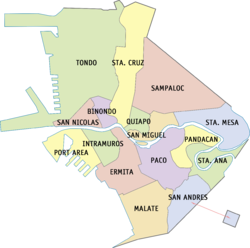 The Pasig River flows through the middle of city, dividing it into the north and south. 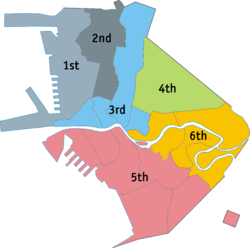 The overall grade of the city's central, built-up areas, is relatively consistent with the natural flatness of its overall natural geography, generally exhibiting only slight differentiation otherwise. 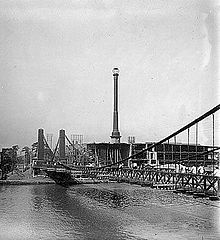 Almost all of Manila sits on top of centuries of prehistoric alluvial deposits built by the waters of the Pasig River and on some land reclaimed from Manila Bay. 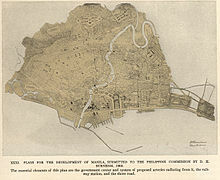 Manila's land has been altered substantially by human intervention, with considerable land reclamation along the waterfronts since the American colonial times. 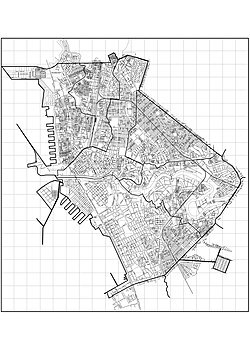 Some of the city's natural variations in topography have been evened out. 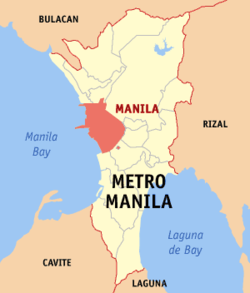 As of 2013[update], Manila had a total area of 42.88 square kilometers. 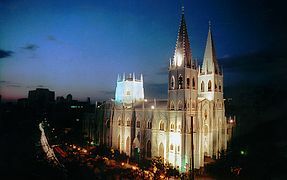 As a result of Spanish cultural influence, Manila is a predominantly Christian city. 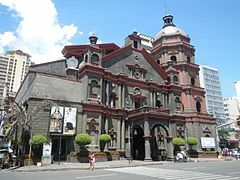 As of 2010[update], Roman Catholics were 93.5% of the population, followed by adherents of the Philippine Independent Church (2.4%); Iglesia ni Cristo (1.9%); various Protestant churches (1.8%); and Buddhists (1.1%). Members of Islam and other religions make up the remaining 1.4% of its population. ^ a b c d e f g h i j k l Baumgartner, Joseph (March 1975). 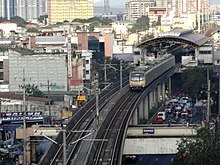 "Manila — Maynilad or Maynila?". Philippine Quarterly of Culture and Society. 3 (1): 52-54. Retrieved 20 August 2018. ^ Aloma Monte de los Santos (1994). 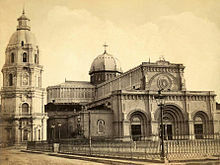 Parish of Sto. 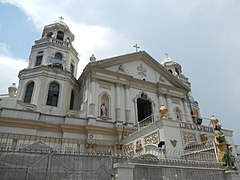 Niño de Molino – Bacoor, Cavite – 1984–1994: The Making of a Parish. Parish of Sto. Niño de Molino. Retrieved 20 August 2018. ^ a b Ocampo, Ambeth R. (1990). Looking Back, Volume 1. Anvil Publishing Inc. Retrieved 21 August 2018. ^ An example is: Saenger, Peter (29 Jun 2013). Mangrove Ecology, Silviculture and Conservation. Springer Science & Business Media. p. 19. ISBN 9789401599627. ^ Kane, Herb Kawainui (1996). "The Manila Galleons". In Bob Dye. 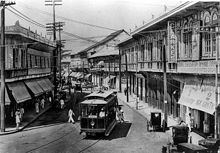 Hawaiʻ Chronicles: Island History from the Pages of Honolulu Magazine. I. Honolulu: University of Hawaii Press. pp. 25–32. ISBN 978-0-8248-1829-6. ^ John. M. Lipski, with P. Mühlhaüsler and F. Duthin (1996). "Spanish in the Pacific" (PDF). In Stephen Adolphe Wurm & Peter Mühlhäusler. Atlas of Languages of Intercultural Communication in the Pacific, Asia, and the Americas: Texts, Volume 2. Walter de Gruyter. p. 276. ISBN 9783110134179. ^ http://www.christianitytoday.com/news/2013/july/missionaries-countries-sent-received-csgc-gordon-conwell.html Christianity Today: "Missionaries by top countries sent or received." 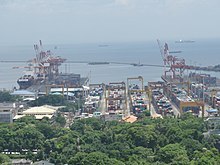 ^ "Port Area Manila Climatological Extremes". 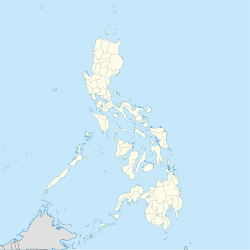 Philippine Atmospheric, Geophysical and Astronomical Services Administration. Archived from the original on 19 September 2018. Retrieved 19 September 2018. ^ Cappelen, John; Jensen, Jens. 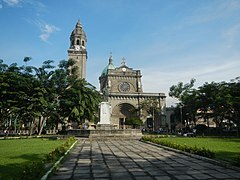 "Filippinerne – Manila, Luzon" (PDF). Climate Data for Selected Stations (1931–1960) (in Danish). Danish Meteorological Institute. Archived from the original (PDF) on 27 April 2013. Retrieved 19 September 2018. ^ Census of Population (2015). 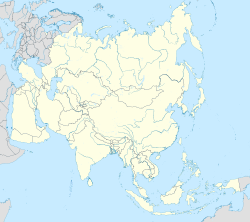 "National Capital Region (NCR)". 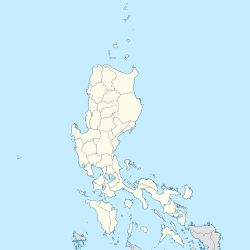 Total Population by Province, City, Municipality and Barangay. PSA. Retrieved 20 June 2016. 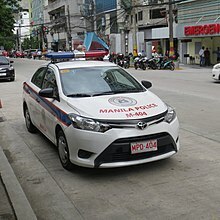 ^ "Province of Metro Manila, 1st (Not a Province)". Municipality Population Data. Local Water Utilities Administration Research Division. Retrieved 17 December 2016. ^ "More than 3 million Chinese allowed entry into Philippines since 2016 — Immigration data | Philstar.com". philstar.com. Retrieved 2018-10-04. ^ Rex Remitio (July 17, 2015). 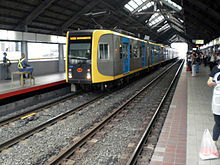 "Manila is Philippines' most competitive city – NCC". CNN Philippines. Retrieved July 19, 2016. 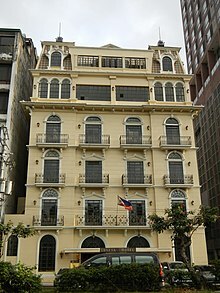 ^ a b "PH, Mexico push to nominate Manila-Acapulco Galleon Trade Route to World Heritage List". 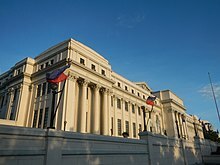 Official Gazette of the Republic of the Philippines. 28 April 2015. Archived from the original on 14 October 2016. Retrieved 14 December 2017. This article incorporates text from this source, which is in the public domain.